Downloaded the revised, new, improved Pie this morning. I had to use a VPN set to Netherlands to get it in Bengaluru, India for my TA-1004. Downloaded the revised, new, improved Pie this morning. I had to use a VPN set to Netherlands to get it in Bengaluru, India for my TA-1004. So far seems to be ok. Keeping my fingers crossed that Nokia got it right this time. I had to use a VPN set to Netherlands. Is there is any difference between beta and this stable version? Never trust Nokia. The update hasn't been rolled out yet in india. 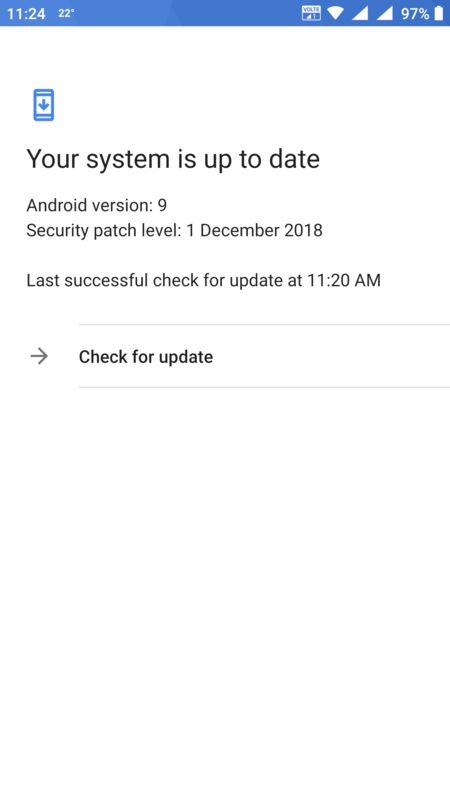 Cud u plss confirm whether u get January security patch along with pie?? Well considering the update I have waiting only has the December update I doubt it. Are you able to receive otp from banks or from app after the pie update? I use Google Pay, I got the OTP. I also got OTP for whatsapp. 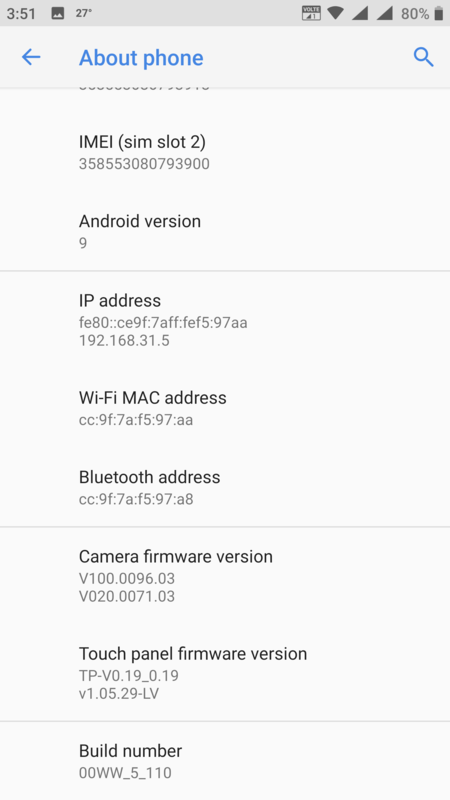 I also have received android pie yesterday. Seems ok. And yes still december security patch . 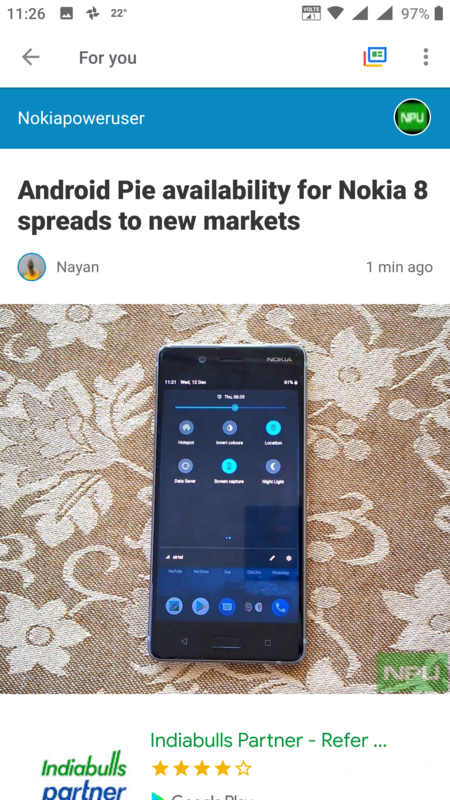 I highly doubt Nokia developed proper pie update for the Nokia 8. They were supposed to deliver in November but the update got delayed and still hasn't rolled out for indian customers. The Nokia developers definitely messed it out something . 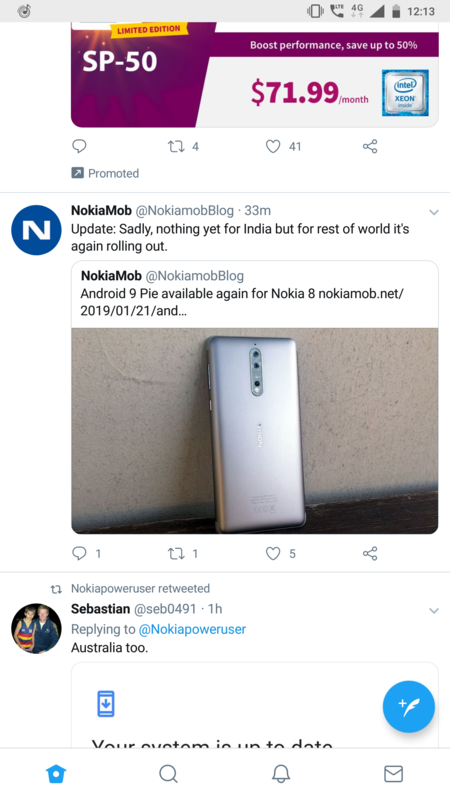 Even JUHO SARVIKAS told us few days ago on twitter the reason behind the delay is volte issue in India and many of new features will be there. My gut feeling is saying we will get pie update in February. This is extremely dissapointing the way they have ignored their first flagship product Nokia 8. This will be my last Nokia. Could you please provide Version No.?! Gentlemen. I got "the news" from NokiaMob. So far as I am able to judge, it isn't news, and 9 Pie is not yet as it should be. I have had WW_5.110 since 10 January when it came to Denmark. The release is nice and stable, but the compass is corrupted - north is south, although in stargazing apps like Star Walk 2 and Stellarium, east and west are still east and west. Nokia are not lying, but HMD Global are being far too slick and far too interested in their image. As far as images go, the native camera app is recording better OZO sound, without the loud clicks I was experiencing in Oreo. The focus still does not hold for much more than a second when I move the phone to something else it can focus on. These are my experiences. I factory-reset the phone 2 days ago and reinstalled everything. Nothing yet in India. Maybe the Volte issue juho was talking about on twitter is real. Hope that is solved asap. And @RL Ramakrishnan did you get the new camera app as well? Same version since beta labs announced beta version pie. Nothing improved so far, unfortunately. Got my Nokia 8 Pie update here in the UK last night - VERY impressed with it so far. Found 8.1 a bit clunky and unresponsive at times but this is much faster and not had any crashes or lockup's (Facebook would always lockup after a post before) - I've been using android phones since Android 2.1 and i can say this is one of the better updates - makes the phone feel like a new device. Been a pain waiting for it, but certainly worth the wait. I was sceptical about the compass - went for a drive with Google Maps on. Worked fine with me. I reached my destination safe and sound. Hey, Jio Volte working great too. Used it for calling. Nary a glitch. This is not the point - as long as you are navigating Google Maps will use GPS data (that still work) to guide you. Let me try that one too. I'll install a compass app and check that out. So you have a brand new camera app with ALL the features that other Nokia phones have? Problems, I have noticed so far. No biggy but pie seems to have lost support for.wma files. Only found out as my notification sounds are wma format and are no longer showing. Next is the compass, it seems to work fine if you hold the phone vertically but as soon as you hold it horizontal it points where it pleases. I've tried recalibration to no avail. For me is the same like Oreo.